Creators Space is a new and unique store that has recently opened up in downtown St. Paul. 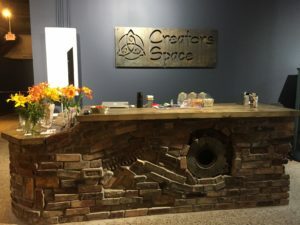 Creators Space’s grand opening was on July 13th through the 15th. Creators Space features a few different areas. The Creators Cup is their coffee house which offers coffee, tea, and fresh hand-made food. They have the Commons area where anyone can grab a table or chair and relax or get work done. 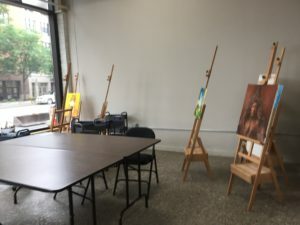 They also have eight different classrooms for eight different genres of classes that are beneficial for artists, entrepreneurs and philosophers, which are run by independent teachers. But how did they come across such a large place to hold all of this? Melissa and Kevin Dessart, the founders of Creators Space, had first of all wanted to find a place to renovate, not just buy a space. They needed to find a place that was large and affordable. That’s when they found an old parking garage located on the corner of Wacouta Street and 7th Street. That space was over 130 years old where it had started out as a hotel, and then became a furniture store, and finally a parking garage, before Melissa and Kevin had decided this is where they wanted Creators Space to be and ended up purchasing in 2017. Creators Space also offers a membership program. There are two tiers. The Foundation membership is $125 which gives people full access to the tools and equipment throughout member-only spaces during regular business hours. The Full Immersion membership is $150 which also gives people full access to tools and equipment in membership-only spaces with 24/7 access to “create when the spark is ignited – day or night!” With the Full Immersion membership, you also get the chance to sell your artwork there. Once enough people has signed up and enough art has been made, Creators Space will have art displayed through the retail areas that people can buy, giving the members 70% of the purchase price. They also want to get businesses involved. They have a program called “Sponsor a Creator” where a company can pay for someone’s membership. 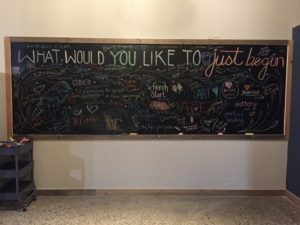 They want businesses to see this something similar to a health club membership to inspire creativity, relaxation, and help an employee thrive in the workplace. There are also various different places in the space that can be used for business meetings, whether it’s casually in the Commons or in a private room. They have rooms available for free and others that can be rented. Click here to go to their website and learn more about them and what they offer or email them at mailbox@creatorsspace.com.